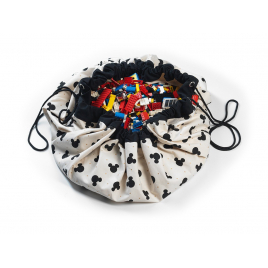 Little girls will love this bag / play mat decorated with little Minnie with golden shoes. 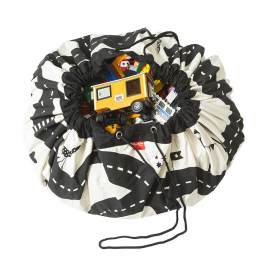 With this Play & Go bag, finish the toys that hang around the house! 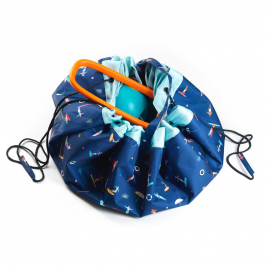 And, with its exclusive design by Bakker Made With Love, it will become a decorative element in its own right! 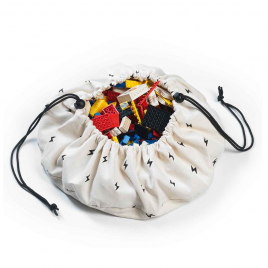 Ideal for storing small toys, this storage bag is also, once deployed, a circuit for small cars: great, no? 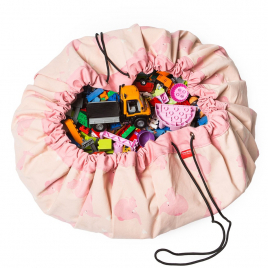 This Play & Go bag with an exclusive design by A Little Lovely Company is 100% girly with its pink elephants tone on tone! 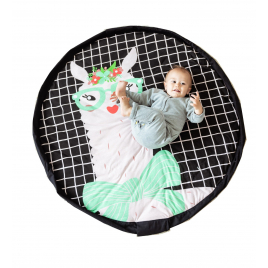 4 functions for this Play & Go toy bag made in collaboration with OMY: it is used as a storage and play mat, it allows you to carry your favorite toys everywhere and you can color it! 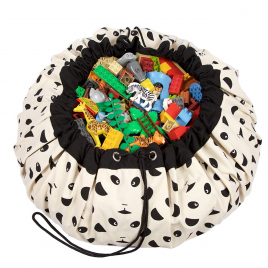 Graphic and practical, this Play & Go Panda bag can follow you anywhere in the house, it allows you to store toys, acts as a play mat and can be carried everywhere ... And, besides, it is super nice! 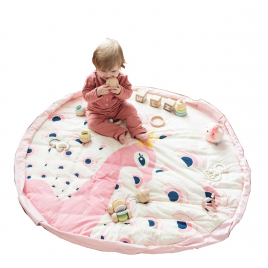 Both soft play mat, toy bag or changing bag, this novelty in nice pink colours will become essential to all moms! 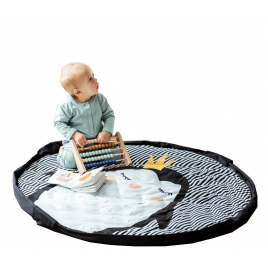 This soft and fluffy carpet, padded and beautifully decorated with a penguin, transforms once the time to play in toy bag or diaper bag ... It will quickly become indispensable! 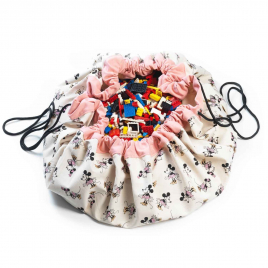 Unfolded, it will make a soft and fluffy carpet for toddlers; at the time of the nap or ballad, it will turn into a toy bag or changing bag: too good! 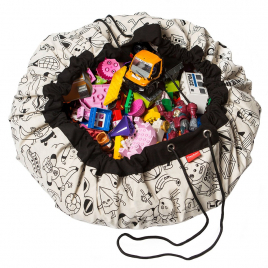 For little cars, figurines and soft toys, this Play & Go bag with an exclusive Super Hero pattern will delight both boys and parents! 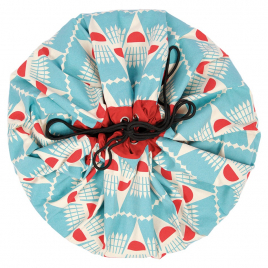 In the bag version, it will allow you to make a clean place in the room or living room ... 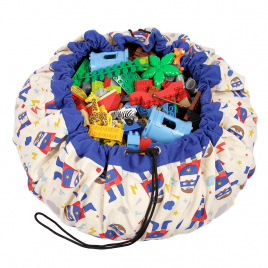 Unfolded, it defines a soft play area for children, with in addition, a train circuit ... great, no? 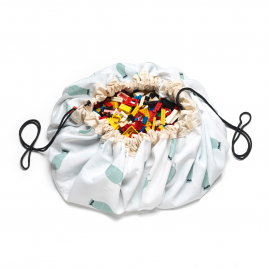 Waterproof version of the Play & Go bag: to be sure to play or picnic dry, whatever the circumstances. 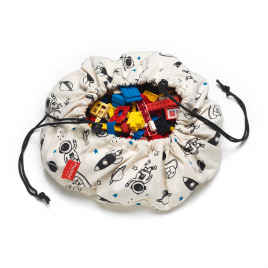 For an interstellar trip or just for the legos do not hang around ... this storage bag Space will be of great use in everyday life. 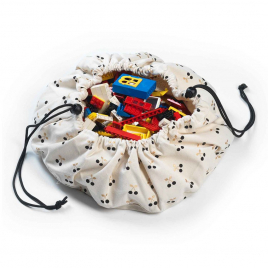 Graphic and resistant, this small storage bag will be ideal for small toys, figurines, pencils ... but also for parents use for makeup for example.